Kualao Restaurant is Vientiane's most popular, internationally recognized, up-scale and authentic Lao food restaurant, where both local and visiting diners bask in an ambience that flawlessly reincarnates the romantic and sophisticated atmosphere of early colonial French Indochina. Kualao is discretely, and conveniently, nestled on the corner of the city's landmark That Dam Intersection, which is known for the famous 'Black Shrine' stupa that sits at the center of the nearby roundabout. The restaurant is housed in a charmingly elegant, vintage villa that, until only decades ago, formed the residential estate of French colonial officials. The restaurant's exterior epitomizes architecture 'à la française', invoking thoughts of the society parties, business deals and political intrigue that must have taken place there in the colonial era. The interior, however, whispers the soft Lao overtones of a traditional Southeast Asian interior. The distinctively patterned textiles, the rattan wall rendering, the discrete lighting, the traditionally glazed ceramic plates and the elegant golden cutlery is distinctly Lao and has been fused with modern, international essentials, such as a fully stocked wine cellar and an English language version of the menu. The harmonious blend of East and West is typified by the beautiful female hostesses in their traditional, multi-colored Lao Sinh skirts and the male 'garçons' in their formal, western-style black trousers, white shirts and bow ties. 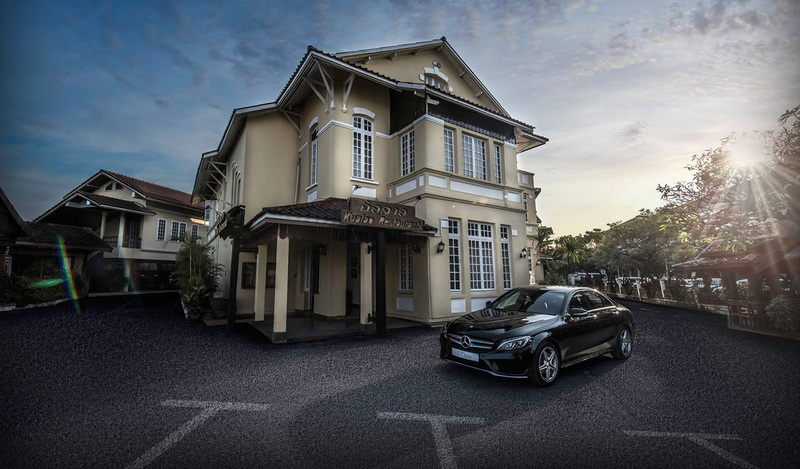 In its days as a prominent colonial estate, the Kualao building played host to Vientiane's elite society. Now, as Vientiane's most prestigious Lao restaurant, it is still the perfect place to meet, relax, enjoy sumptuous food and impeccable service and be captivated by enchanting Lao entertainment. You cannot truly say you have experienced the best that Laos has to offer unless you have dined at Kualao.